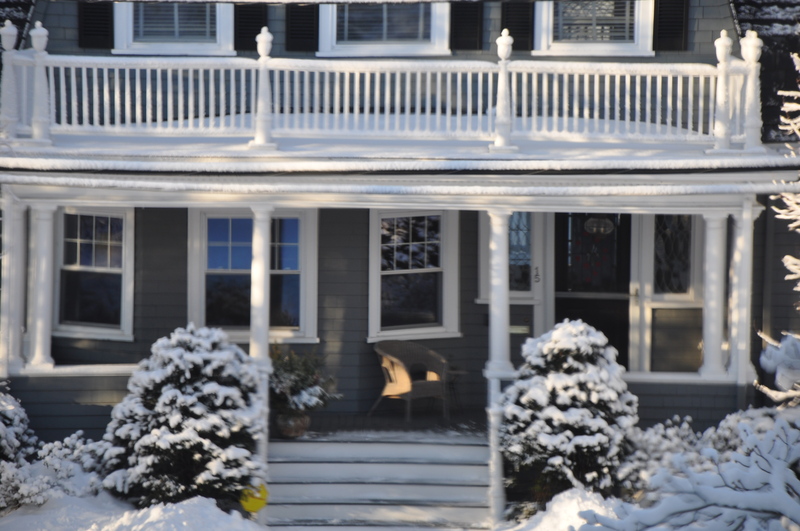 I feel OK about the new foot of snow because look what I had this morning: A sunup like this, all that warm buttery light just beginning to play on the face of the house across the street. How can we NOT hope now, with the days at last longer than the nights? All that faith! AND the lush image of moss! Now to pull my boots back on and dig out more of these sword-blades. It certainly shows how tough resilient nature and her seedlings are, I mean hey, if weeds and grass can be determined enough to crack through weak spots through cement, and Ivy on large homes, and like we’ve seen here with purple crocuses pushing through the snow, then what is to stop us humans from being even Half as such? What a wonderfilled picture of greatness. 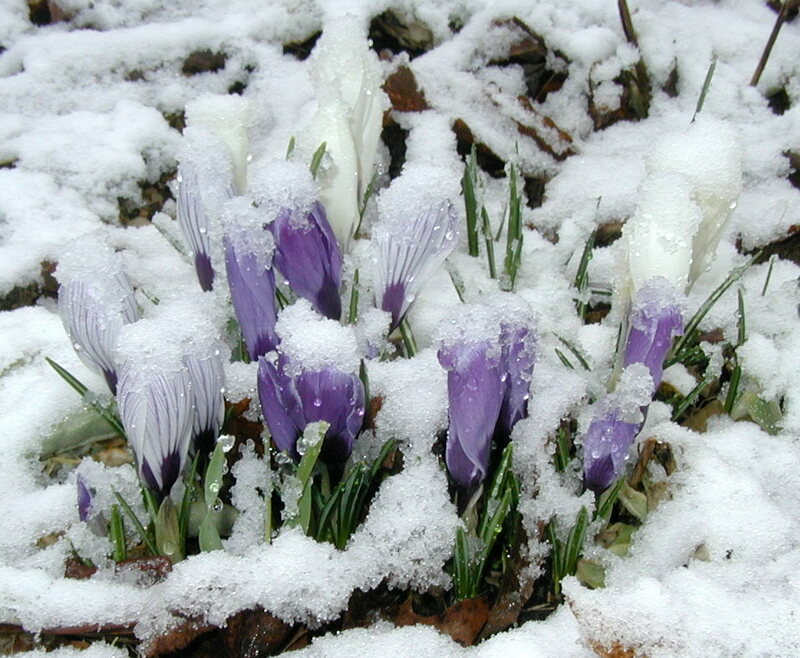 The royal croci, surrounded by their emerald green attendants, clothed in purple and each with a crystal crown on their heads, gifts from the awesome prince of winter as he bows in retreat. ay yer a poet yerslef frankie!